Future Aircraft: Low Observable Progress? February 18, 2015: Plenty about the Indian aerospace scene perplexes analysts and observers. Examples are plentiful. One of them is activity in the stealth aircraft area, where India has the distinction -- it's arguable what sort of distinction -- of working on two separate and comparable stealth combat aircraft. The first, the Prospective Multirole Fighter (PMF), an 'Indianized' version of the Russian Sukhoi T-50 PAK FA, isn't off the drawing board yet. Russia and India, in fact have been working to clear hurdles that will lead to an R&D phase that takes the project forward and provides crucial definition to the fifth generation platform that will finally enter service with the Indian Air Force starting around 2023. The second project, reportedly poised to acquire formal project status this year, is the lesser known Advanced Medium Combat Aircraft (AMCA), intended to be a fully (or largely) Indian effort to build a twin-engine multirole stealth fighter jet. The status of both projects indicates they're both 'ON'. Consider the similarities of the proposed platforms: both the PMF and AMCA will be twin-engine fighters with low-observable features all round, be capable of supercruise, sport internal weapons bays, deploy AESA radar and smart weapons and boast of data fusion. Both fighters are intended to be multi-mission, multirole jets with an equal emphasis on strike and air engagements. For all the speculation and analysis that swirls around the two projects, it is necessary to accept one truth: both will be enormously expensive, and the commonalities of both projects leave a plethora of questions unanswered, not all of them comfortable. For instance, if the PMF is truly a joint project that will involve substantive sharing of technology, why does India feel the need to reinvent the wheel (on the AMCA) on critical technologies it should expect to get from Russia as part of the PMF programme anyway? Second, what is the level of potential technological between both concepts, given that they have much in common even at the concept stage? Do the ab-initio technologies India is developing as part of the AMCA justify a separate project? Finally, what about inventory concerns? Can the Indian Air Force, even with the prospective lead time that timelines on the AMCA and PMF would provide, be in a position to manage two separate stealth aircraft types, neither of which it currently plans to operate in numbers higher than 150 aircraft each? With budget cuts and austerity measures, can India afford to fund two expensive fifth generation fighter programmes? Are India's next generation requirements clearly defined? Will the PMF/FGFA and AMCA occupy similar spaces? How will their roles be separately defined? 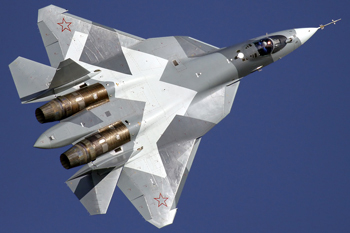 Is the FGFA truly a "joint" effort, or is it more on the lines of the Su-30MKI programme? But these are questions India's planners have hopefully considered. The fruits of two parallel stealth aircraft programmes, one a joint effort with Russia, the other a singularly Indian effort, will be judged on visible results over the next three-four years. The opportunities for partnerships at the basic and advanced level on the AMCA, which has finally taken on a 'frozen configuration', remain plentiful. Developed from the ground up by Indian scientists in Indian laboratories, the AMCA hopes to be a truly Indian effort. One crucial aspect has changed, though. Planned as a platform powered by twin GTRE Kaveri turbofan engines, it is now certain that the AMCA, at least in its prototype stage, will be powered by foreign engines. An evaluation is currently under way on which engines could potentially power the AMCA in its prototype phase. According to the latest official definition, "The AMCA is being designed as a stealth, medium weight, twin engine, multimission aircraft with a swing-role capability. The aircraft has trapezoidal wings, all moving horizontal tails and twin canted vertical tails. Aiding the beyond visual range (BVR) combat capabilities of the aircraft are low radar signature, extended detection range and targeting, supersonic persistence and high speed weapons release. Close-combat operations are facilitated by high angle-of-attack capabilities, low infrared signature and all-round missile warning system. The stealth mission features SEAD, precision strike and maritime operations. Among the advanced technologies that confer stealth capabilities are serpentine air intakes, internal weapons bays, radar absorbing structure (RAS), radar absorbing materials (RAM), frequency selective surface radome and conformal air data probes. The avionics system features integrated modular architecture supporting NCW capabilities, advanced pilot-vehicle interface, pilot associate and integrated vehicle health management. The integrated flight and propulsion control system will combine the traditional flight control functions with thrust vectoring and engine control functions." In every sense, these are advanced technologies no country would be willing to share -- and there lies the central justification of the AMCA project. A joint programme like the PMF is crucial to shoring up capabilities, building manufacturing partnerships and leveraging the bilateral relationship with Russia. But true development of technologies like low-observable technologies will be required to be produced in-house. If AMCA project director Dr A.K. Ghosh meets his objectives, then one of the most compelling aspects of the AMCA will be its cockpit and man-machine interface. 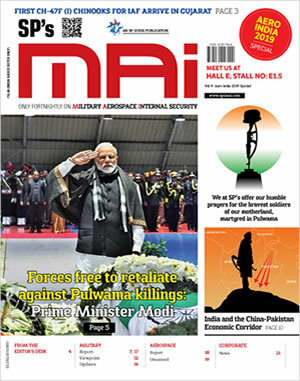 In the last two years, several private companies big and small have stepped forward with technological inputs and proposals for partnerships to give the AMCA a chance at being as 'Indian' as possible. Several of these proposals are currently under consideration by the programme team. The result: a supply chain and network of agencies, entities and laboratories has quickly taken shape and will be crucial to the next long phase of the AMCA, which involves actually building a technology demonstrator. The Indo-Russian PMF and the Indian AMCA put India in a highly unusual situation as far as future aircraft are concerned, perhaps more unique than any other country at any other time. The hope is that what's never been done before will yield more opportunities than expected, and that a mature Indian private sector will be in a position to step up and claim part of a national effort. For foreign partners, the field remains open as always for consultancies, technological tie-ups on crucial systems and the actual business of testing such platforms.